When it comes to top talent and finding the perfect employee can fit the job position that you are wishing to fulfill, look no further than with the Trinity employment specialist. They can provide you with any of your needs from medical staffing, to finance, to even industrial jobs. He thought the results you receive and will be lifted with a sense of you knowing that you do not have to weed out employees who are seeking to actually fulfill their career or the next employee searching for their next paycheck. The Trinity employment specialists strive to strategically recruit talented who meet the needs of your company and also connect growing company with the best and most exceptional talent. They can provide medical staffing to those wishing to put the next path they have always desired. We truly believe that with connecting people it can change lives and that is why we are known to be one of high staffing companies around. Working with you and other employers to find top talent as well as working with employees searching to find a job and become passionate and positive within the industry they work for. We are also devoted to giving back and helping provide a brighter future for the children and which will soon run the careers of businesses today. They will be able to someday hold high medical staffing and be able to reach goals within the medical field because of the changes made today. We have created a giveback program in which every job place we will donate to the Oklahoma Baptist children’s home. We have partner with the Oklahoma Baptist church working together to feed children and young adults. Housing and life skills for these young people are provided strive to make a difference in their lives and bring a positive future to career path. Teamwork within the community can help maintain a brighter future for the kids who will be someday running our companies in making changes to our communities for the better. That is why we want to provide them with the best knowledge and life skills needed to help get them to the goals and reach the potential that they deserve. Connecting people and changing lives is what Trinity employment specialist are all about. We are helping connect qualified people with great jobs as well as helping employers find the right staff to help build a successful company. 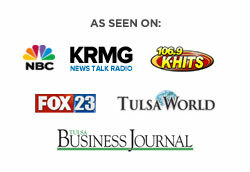 We are known to be one of Oklahoma’s highest and most reviewed staffing companies for this very reason. With much success time and time again, you can learn more about the testimonies of broader website. We truly believe in recruiting only the best and top talent around and we strive to help meet the needs of your company and connect you with that very best talent. To learn more about the job openings were to get started with finding your top talented employees, head over to https://trinityemployment.com today. You can also see different sample resumes, cover letters, and think you letters to help push yourself above your competition and receive that dream job you have been striving for. For any questions or information needed feel free to give us a call today at 918.622.2588. From medical staffing, to finance, and industrial jobs, the Trinity employment specialist can help you find any job that you may be searching for and put you on the career path to which you have always strived to reach. You spent your whole life working at jobs in which you have put so much effort in but seem to have little effort given back to you. That is why with our specialist we truly want you to land a job that you are passionate about and one that will drive success for your future. The Trinity employment specialists work hard to connect people and change the lives for the better and for their future benefits within the career. We also strive to help hire top talent for employers who are seeking to help boost their companies with employees who are passionate about doing a exceptional job within their position. We want to help weed out employees who are truly passionate about their jobs coming to work every day to better their careers in the company versus blaze who are searching for their next paycheck. When it comes to the medical industry we understand how challenging it can be pretty fine the perfect employee who is not only passionate but diligent about doing their job doing it correctly. That is why we strive to meet the needs of your medical staffing processes and help you find those who match the position well. Whether you are just starting within the career field or looking for a change in jobs with a brighter future, the Trinity specialists are here to help. We truly believe that helping find the right position for you can help motivate you to become passionate and diligent within your new career path. We went to help you every step of the way get to where you strive to be, that is why the Trinity employment specialist are known to be one of the highest and most reviewed staffing companies within Oklahoma. We are passionate about giving back and have created a giveback program in which every Job Placed, Trinity will donate to the Oklahoma Baptist. We do believe in staffing and employee can support a child. Which is why we have and able to partner with the Oklahoma Baptist church working to feed close children and young adults. We also provide housing and life skills for those young people. Because the children are our future in the steps we make today to help get the to the right career can help our city change the world for the better. To https://trinityemployment.com today to learn more about different ways to land the dream job that you have been searching for. We provide sample resumes, cover letters, and even think you letters. You can also give us a call at 918.622.2588 today for any questions you may have or more information needed about what we provide for you. Whether you are searching for medical staffing positions or a job within finance, the Trinity employment specialist tests are here to assist you.